"I found myself in the room of a very large and beautiful hotel. I believe the name of the Hotel revealed to me was Crown Plaza. There were many distinguished looking people there and what appeared to be a team of scientists. One of them seemed to be leading the discussion. He was holding a report in his hands and he was talking about it. I did not understand much of what he was saying as he was speaking in scientific terms. He seemed to be talking about technical scientific terms that were alien to me. As he passed the reports around the table to the people that were attending the meeting, I discerned that these people were wealthy individuals from various countries from around the world. Movers and shakers if you will. They seemed to be very interested in the contents of this report and what the leading scientist was saying. As I got my hands on the report, I looked at its content but could not understand much of what was written in it. I could not make sense of the highly technical words that were used or what it was saying. However, there is one thing I remember clearly. On a part of the report, I saw clearly at the top of the page the following words written: 'Death Star and 'The Port'. When I read it, I knew that it was related somehow to Wormwood, The Destroyer, Planet X, Nibiru. I did not have time to read much of the contents that was on that page as I only had a few moments to look at it and then I had to give the report back to the scientist. Everyone was intently listening to what this scientist was sharing with them regarding Death Star report. As this was taking place, I was suddenly awakened." 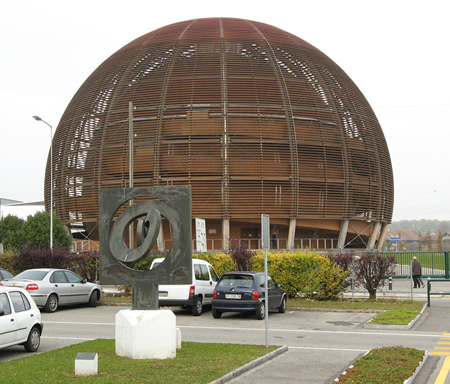 The above 666 Logos is what CERN uses on their website and the Shiva statue is displayed at their headquarters in Geneva. I believe that I was taken to a meeting that was taking place in Geneva, Switzerland where the world's wealthiest businessmen and dignitaries were gathering together with a small group of scientists. The topic of this meeting was intricately related to the arrival of Wormwood, Abbadon, Appolyon with its mini solar system in tow. At first, I thought that 'Death Star' was the name assigned to Planet X by this inner circle. However, after much prayer and meditation on this subject, I no longer believe that. I now believe that what I was shown has to do with a weapon that is being developed in order to shoot and try to destroy this incoming planetary object or some other perceived space threats. 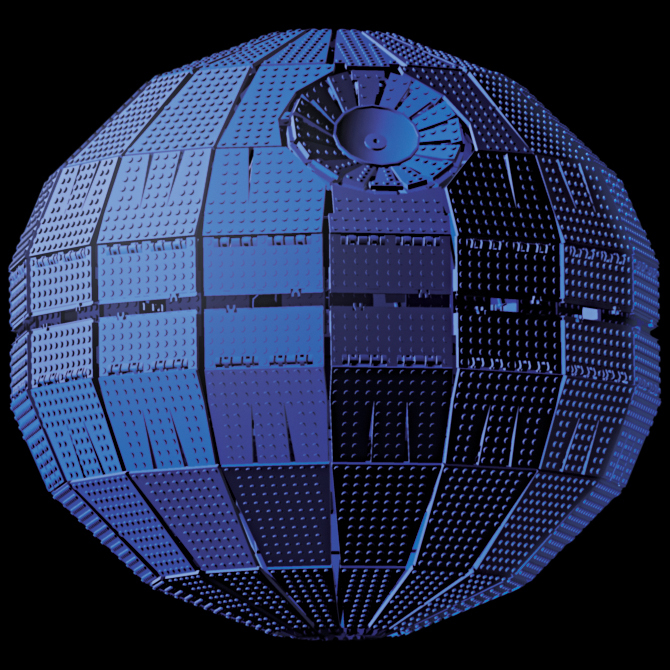 I did not understand the technical terms that were used in the report or remember much of what was contained in it, but there is something important about The Port in the Death Star Report that the scientists dedicated a whole section of the report to it. I know that this sounds a lot like science fiction, but nothing surprises me anymore. I clearly remember President Ronald Reagan talking about it back in the 80's. Over the last two years I have continued to pray over this and do research on the matter. I have now come to the place where I strongly believe that CERN is connected to what was shown to me back in March 5, 2013. Notice the striking similarities between the CERN Globe of Science and Innovation in Geneva, Switzerland and the Death Star picture from Star Wars next to it below. In my experience, the scientists were trying to solve obvious problems that they had with the Death Star, and there was a whole section dealing with The Port. Never having seen the movie Star Wars, I did not even understand what that meant until I began to research it. Things are beginning to come together much more clearly. If CERN is what I think it is, then my first impression was correct. I cannot explain it in scientific terms, but I believe that CERN is some type of Star Wars, Death Star type weapon that was created to be used against what is perceived (by them) to be a serious incoming threat from outer space. At the time that I had this supernatural experience in 2013, scientists were still trying to perfect CERN. This is what I perceived from what I heard them saying and what I read in the report. 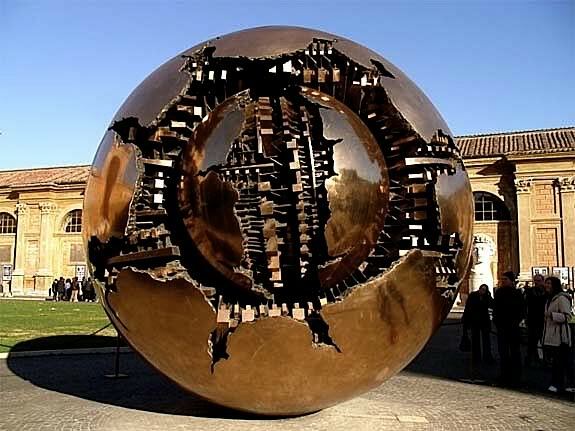 Also, notice the striking similarities in the photos above between the Death Star Port from Star Wars, the CERN Globe in Geneva, Switzerland and the Sphere that is outside the Vatican in Rome, Italy. The similarities are just too striking to disregard. Only time will tell if what I was shown really was the world's most brilliant scientists working for the elite trying to work out the bugs regarding CERN. In relation to this, I have recently discovered that CERN has an organization that is titled 'THE PORT" which stands for "Personnel Operation Research Team". Their work consists in putting out a problem and people that can resolve the issue then apply to be part of the team. These people then meet, and each one supposedly gives their solution and they try it out to see what solves the issue. CERN's organization 'The Port' had a meeting on October 31 to November 4, 2014; they had another one in 2015 on 2/10-4/10 and recently had another meeting in October 2-4, 2015. They even have a Facebook page. The CERN logo for their website is three interlaced sixes. I now believe that the Crown Plaza Hotel where I was taken to, is located in Geneva, Switzerland; the location of the Large Hadron Collider. The three sixes clearly shows what they are planning in doing with CERN: The introduction of a New World Order and mark of the beast 666. It's later than you think; repent from your sins and accept Jesus Christ as your LORD and Savior. Shalom. Luke 21:25-26: "And there shall be signs in the sun, and in the moon, and in the stars; and upon the earth distress of nations, with perplexity; the sea and the waves roaring; Men's hearts failing them for fear, and for looking toward those things which are coming on the earth: for the powers of heaven shall be shaken." Revelation 13:17-18 "And that no man might buy or sell, except he that had the mark, or the name of the beast, or the number of his name. Here is wisdom. Let him that has understanding count the number of the beast: for it is the number of a man; and his number is six hundred three score and six."